<>·If you are not completely satisfied with your purchase, simply return the item to us in its original condition within 14 days of receipt after informing us by email at sales@hospitalityquality.co.uk or telephone or fax 01913750827 giving your details and invoice and delivery note no and the reason for return or exchange. Returned items should be unused (by all means try on any clothing items) and must be returned in original packaging with any enclosed documentation. We will issue a full refund on receipt, including the original delivery charge. Alternatively, if preferred, we will exchange the item. We will Refund your return postage to the same value as we delivered the item to you. e.g. We send 2nd class Royal Mail – we refund 2nd class payment only, if you choose to pay for a premium service the extra cost is your responsibility. 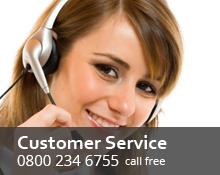 You must contact us before returning to ensure that the most cost effective method is used for your return. The item is your responsibility until it reaches us; therefore we recommend that you at least get proof of posting. 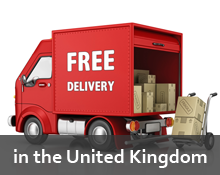 Whilst the Company will make every reasonable effort to deliver the goods in accordance with pre-arranged dates and times no guarantee is given by the Company as to delivery times or dates nor will it accept liability for loss or damage occasioned by any delay in delivery. The customer shall not be entitled to refuse delivery on the grounds that only part of the goods ordered are included in a particular delivery. Where the order or contract is for the supply of goods only delivery of the goods shall be deemed to be made on the arrival of the goods at the nominated delivery point prior to off loading and the risk in the goods shall thereupon pass to the purchaser. The purchaser is should advise their insurers in advance of delivery. Packages should be checked for damage before signing for goods, goods not signed for as damaged may take longer to replace or refund in the event of damage during transit. Where the customer shall seek to claim for damage in transit or for shortage of delivery or loss of goods this must be done in writing to us within three days of delivery. We take great care to ensure that all images are a true representation of our products. We take no responsibility for slight changes in manufacturers deviations. Supercookshop is committed to ensuring that your privacy is protected. Should we ask you to provide certain information by which you can be identified when using this website, then you can be assured that it will only be used in accordance with this privacy statement.